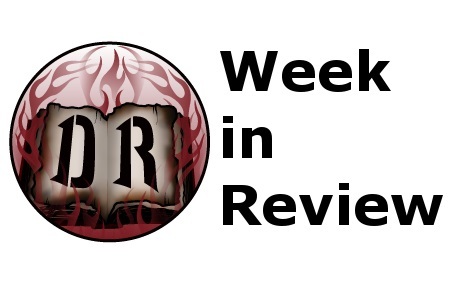 Coming soon: The staff’s Best-of 2014 lists. Talk about “feelings” and other matters of the solemn took place when Kyle McGinn chatted it up with Mallorca metallers Helevorn. Sweden’s Sister Sin sit atop the female-fronted dirty rock mountain. Matt Coe investigated as to why. Los Angeles tech-death masters Abysmal Dawn talk riffs, touring, and consistency in support of their new album, Obsolescence. The Netherlands Laster emerge as a new atmospheric black metal band to keep an eye on with Der Verste Verte is Hier. Reformed Swedish death metal outfit Centinex hit the ground running (again) with Redeeming Filth. Long-running Brazilian death metallers Nervochaos keep it sloppy on The Art of Vengeance. The year has produced several “weird” death metal albums. Add Baring Teeth’s Ghost Chorus Among Old Ruins to the list. Agalloch clones are in the house: The Flight of Sleipnir try their hardest to sound like the revered Northwesterners. Finnish melodic death metal crew Mors Principium Est embrace…melody on Dawn of the 5th Era. The unsung Raunchy continue to exploit their own little pop cyber metal niche with Vices. Virtues. Visions. Former members of Blood Stain Child find work in Seasons of Ghosts, whose The Human Paradox debut has some traction. Behemoth bassist Orion finds his symphonic black metal handle in Vesania. 1. Cannibal Corpse now banned in Russia. 2. 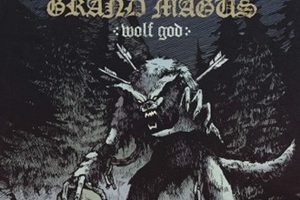 Grand Magus releases “Steel Versus Steel” video. 3. Marduk reveals track listing for new album. 4. Onslaught sacks former Anthrax vocalist Neil Turbin two days prior to the conclusion of their North American tour. 5. Chris Broderick leaves Megadeth. 6. Same goes for Shawn Drover. 7. Lock Up announces a change in the vocal department. 9. Carcass and Goatwhore are included on the CBS show, Elementary. 10. High Spirits are prepping a new album for 2015.